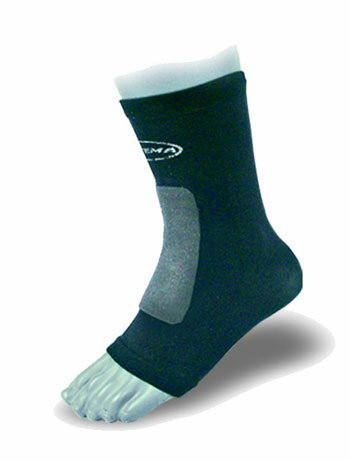 Ortema X-Foot padded socks - never ever painful pressures and blows, because of integrated pads. The integrated pads absorb painful pressures and blows to the front foot and reduces these. The sock is easy to don and the pads can be individually adjusted to the right position. These pads absorb pressure peaks and prevent pain in sensitive areas, e.g. upper side of the foot such as lace bite (version front). WE DELIVER ONE SOCK - who needs two socks if only one shoe hurts?